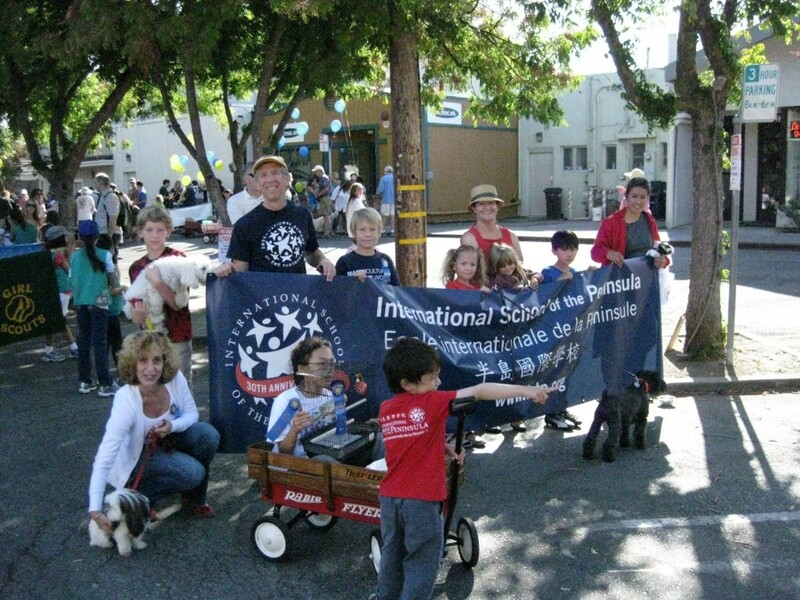 Two dozen ISTP'ers walked in the Los Altos Pet Parade for the first time on Saturday, September 24th. 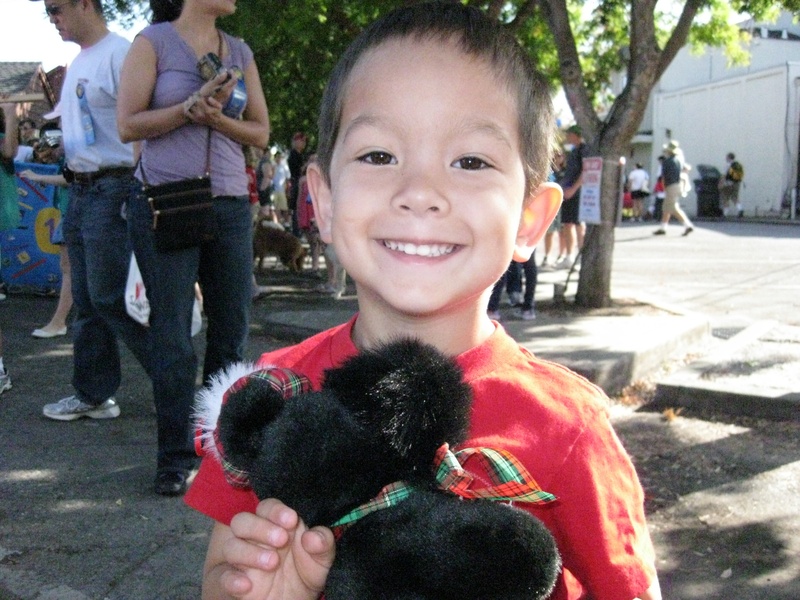 On this beautiful morning, several ISTP families and their furry or feathered friends gathered in downtown Los Altos for the 64th Annual Pet Parade. The streets were only open to pets and their fans. ISTP was well-represented by families from both the Chinese and French programs, and children in pre-school and Elementary through Middle School. Accompanying our humans was a zoo: 3 dogs, 1 lizard, 1 crab, and 1 cockatiel, in addition to our stuffed animal contingent of 2 dogs, 1 monkey, 1 turtle, and a goat! On our casual stroll through town, we were in good company. The Los Altos High School marching band entertained us; the Chief of Police brought his dog, too. While we watched some "hot dogs" trot about, we even saw a unicorn! The best part was that at the Parade, some of us had met for the very first time. A good time was had by all, and we're looking forward to next year! Hope you can join us! You can take a look at the full Pet Parade album on ISTPnet!